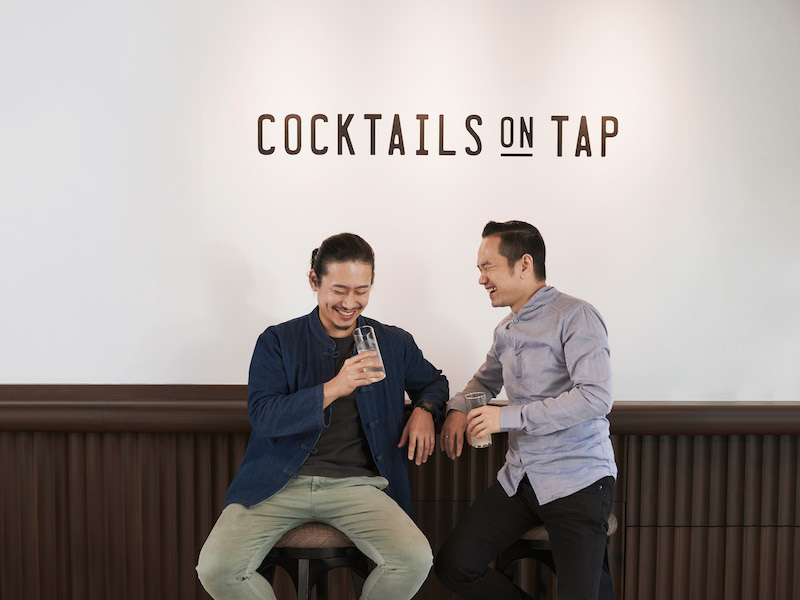 <<15th January, 2019 – Hong Kong>> Taiwanese drink maestro Angus Zou has partnered up with Tastings Group’s very own pioneering bar figure Antonio Lai to unveil Hong Kong’s first “cocktails on tap” bar concept. 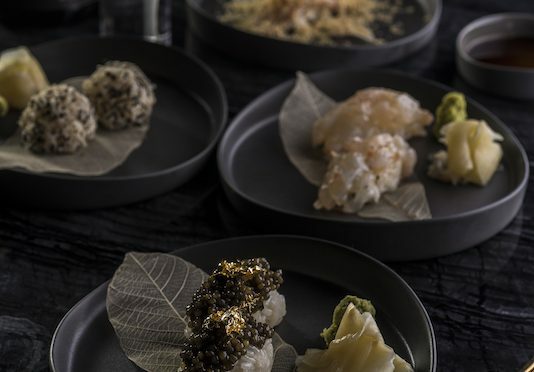 Draft Land, first opened by Angus Zou in Taipei in 2018 to high acclaim, has soft opened its second outlet in the heart of Hong Kong on Wyndham Street, Central. Draft Land, a concept by innovative beverage research and development company Drinks Lab, carries out the brand spirit of “to be free” through the offering of everyday, fuss-free cocktails. 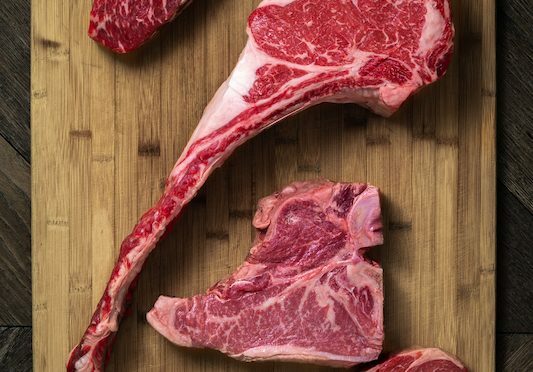 When Angus Zou first opened Draft Land, his sights were set on the growing market of people whose wish was for a simple, no-frills experience of enjoying high-quality cocktails at a reasonable price. 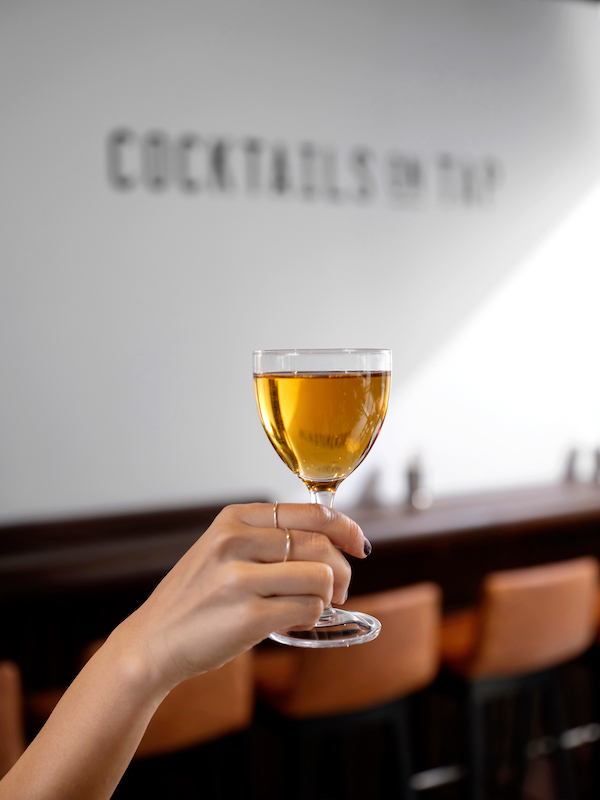 With the opening of Draft Land, he seeks to simplify the bar-going experience down to the essentials, starting with serving everything on tap. 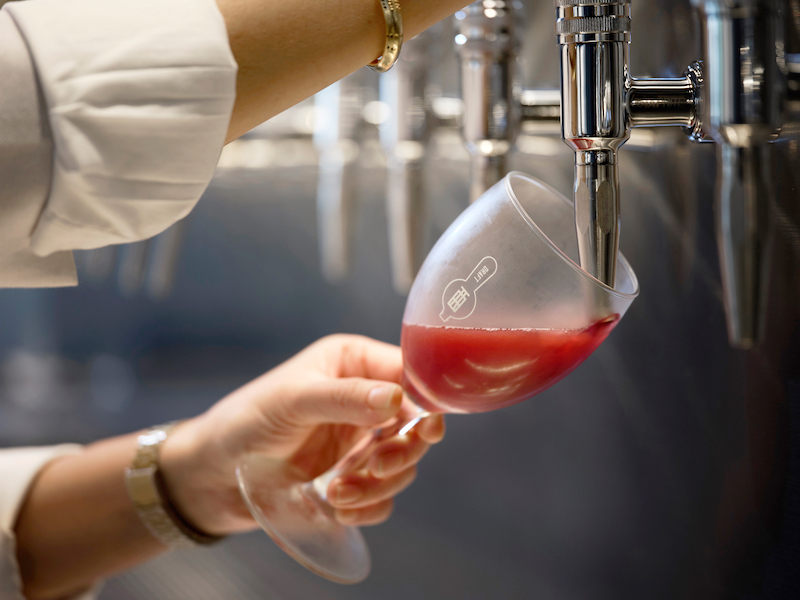 With the ability to pour and sample different flavours before picking a favourite drink, and the replacement of bartenders with engineering and consistency-focused “Draftenders”, an innovative new drinking experience awaits guests at Draft Land Hong Kong. One of Taipei’s “Best New Bars 2018” as recognized by Drinks Magazine, Draft Land serves seasonal pre-batch-only and garnish-free cocktails on tap, embodying four core values: speed, high-quality, sustainable and affordable. Seeking to re-define the cocktail experience, Draft Land Hong Kong will offer carefully engineered draft cocktails starting from HK$90 per serving. The alcoholic and spiritfree cocktails at Draft Land are created with its Draft System. A state-of-the-art piece of equipment developed by Drinks Lab, the distillery system injects nitrogen or carbon dioxide (CO2) into beverages to quickly and efficiently create high-quality, sustainable and affordable specialty cocktails. Angus Zou and Antonio Lai have together created more than 40 different cocktail flavours to be available on a rotational basis on the 24 taps. Starting at HK$90 per cocktail and HK$70 for spiritfree options, signature flavours include Angus Zou’s Silver Fizz ($90), which is a simple infusion of gin, dill and citrus. Made to imitate the flavours of egg yolk and genever, the bright, refreshing aroma of orange translates in to the palate with a creamy pandan finish. Soju Martini (HK$120) is another signature not to miss, incorporating the flavours of soju, sherry and pandan. The drink is smooth and silky with a slight nuttiness from sherry, and a hint of fruit from plum eau de vie. Rum Stout (HK$100) is served in a Nick & Nora glass with dark rum, black tea, pandan and Porter beer, evoking rich notes of fruit and a creamy and nutty finish. Refreshing spiritfree options include Hibiscus Fizz (HK$70) with honey, hibiscus, pineapple and soda, and Ginger Lemonade (HK$70) made with ginger, lime and soda. At Draft Land, guests will be able to enjoy various street food-style snacks, which include vegetarian options. 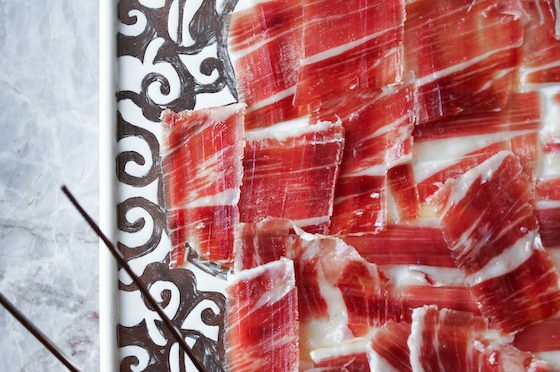 In keeping with the core values of convenience and sustainability, all snacks are designed for easy consumption and do not require the use of cutlery. Delicious and fuss-free bites include Parmesan Tornado Fries (HK$60) with the choice of Masala Spice or Seaweed Togarashi flavours, “Veget-a-Bowl” (HK$60) for a vegetarian bowl of okra, Thai eggplant, pickled onion and crispy potato sprinkles, Mini Corn Dogs (HK$70) with smokey sausages, cheese sauce and shaved parmesan, Char-Siu Pork Neck (HK$100) tossed with “typhoon shelter” garlic, chilli and pea shoots, and more. Antonio Lai is an award-winning international mixologist who pioneered the comprehensive Multisensory Mixology (MM) concept in Hong Kong restaurants and cafes in various countries since 1997. From 2012, Lai started his own bar business in Hong Kong with the opening of Quinary in 2012, Origin in 2013, The Envoy in 2014, VEA Lounge in 2015 and Room 309 in 2018. 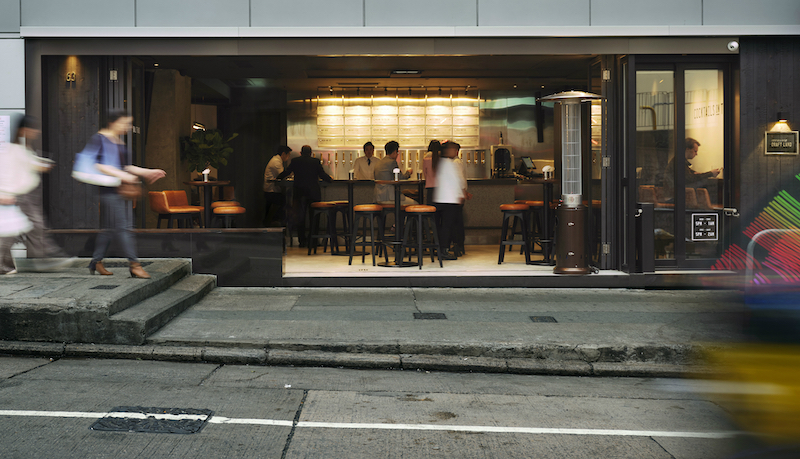 With Quinary achieving the World’s 50 Best Bars from Drinks International Magazine for five consecutive years, Lai is pushing the limits of Hong Kong bartending scene to another level. His latest award includes being named as the 2015 Diageo World Class Hong Kong & Macau Champion. Taiwanese award-winning drink maestro, Angus Zou opened Asia’s first Cocktails on Tap specialist, Draft Land, in a tranquil stretch of Taipei’s Da’an District in early 2018. A young and dynamic entrepreneur and forward-thinking mixologist, Angus holds a sterling record spanning over 10 years in Asia’s bar scene. In 2012, Angus founded Alchemy, a bar that pays homage to the speakeasies of the prohibition era, and which ranked 15 in Asia’s 50 Best Bars 2016. Following his successful guest bartending stints in bars around the world, such as City Space in Moscow, Vogue Lounge in Bangkok, and Nutmeg and Clove in Singapore; and Solange Cocktails & Luxury Spirits in Barcelona, he was also invited as the only Asian bartender to collaborate with world renowned El Celler de Can Roca in Barcelona in The Greatest Bartender Project. Introducing a brand new way to enjoy cocktails, Draft Land offers Asia’s first draft cocktails on tap. 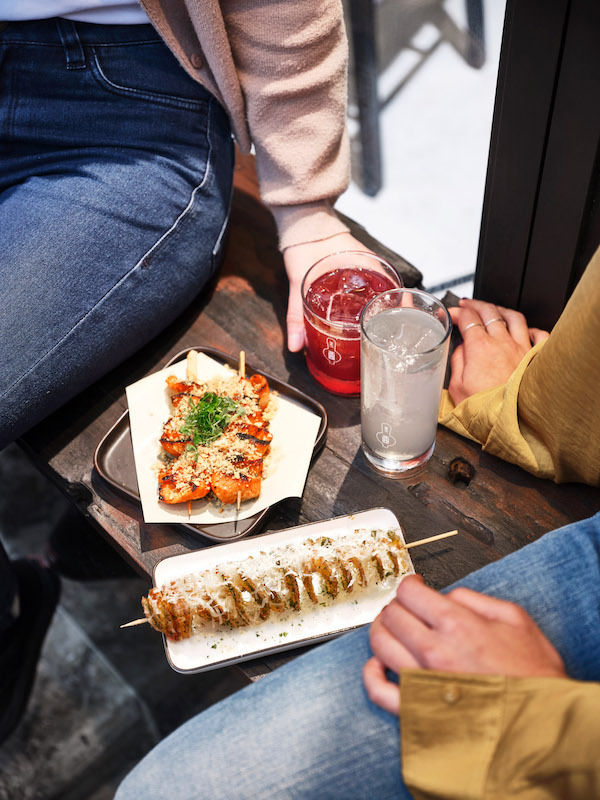 Following its success in Taipei, Draft Land is slated to soft-open its first off-shore outlet in Hong Kong under legendary mixologists Angus Zou and Antonio Lai in December 2018.